On January7, 2019, First Financial Corporation (“First Financial“) entered into an Agreement and Plan of Merger (the “Merger Agreement“) with HopFed Bancorp,Inc., a Delaware corporation (“HopFed“). to the Merger Agreement, HopFed will merge with and into First Financial, with First Financial as the surviving corporation (the “Merger“). Immediately following the Merger, Heritage Bank USA,Inc., a Kentucky commercial bank and wholly-owned subsidiary of HopFed, will merge with and into First Financial Bank, N.A., the wholly-owned national banking association subsidiary of First Financial (“First Financial Bank“), with First Financial Bank as the surviving bank. The Merger Agreement will be filed as an amendment to this Current Report on Form8-K. The boards of directors of each of First Financial and HopFed have approved the Merger and the Merger Agreement. Subject to the approval of the Merger by HopFed’s stockholders, regulatory approvals, and other customary closing conditions, the parties anticipate completing the Merger in the second quarter of 2019. Upon completion of the Merger, each HopFed stockholder may elect to receive either (or a combination of) 0.444 shares of First Financial common stock or $21.00 in cash for each share of HopFed’s common stock, subject to proration provisions specified in the Merger Agreement that provide for an aggregate split of 50% of HopFed shares being exchanged for First Financial common stock and 50% for cash. Based on First Financial’s January4, 2019 closing price of $43.01 per share as reported on the NASDAQ Global Select Market, the transaction has an implied valuation of approximately $128.3million. Members of the board of directors of HopFed, in their capacity as stockholders, have entered into voting agreements to which they have agreed to vote their shares of HopFed common stock in favor of the approval and adoption of the Merger Agreement and the Merger. The form of voting agreement is attached to the Merger Agreement and will be filed as an amendment to this Current Report on Form8-K. In addition, to the Merger Agreement and subject to certain terms and conditions, the board of directors of HopFed has agreed to recommend the approval and adoption of the Merger Agreement and the Merger to the HopFed stockholders and will solicit proxies voting in favor of the Merger Agreement and Merger from HopFed’s stockholders. First Financial and certain stockholders of HopFed entered into a Standstill Agreement to which such stockholders agreed to vote in favor of the approval of the Merger Agreement and the consummation of the transactions contemplated thereby, including the Merger, and any actions required in furtherance thereof. The stockholders who entered into a Standstill Agreement include Stilwell Activist Fund,L.P., Stilwell Activist Investments,L.P., Stilwell Associates,L.P., Stilwell ValueLLC, and Joseph Stilwell. A copy of the Standstill Agreement will be filed as an amendment to this Current Report on Form8-K. The Merger Agreement contains customary representations and warranties from both First Financial and HopFed, and each party has agreed to customary covenants, including, among others, in the case of HopFed covenants relating to (1)the conduct of its business during the interim period between the execution of the Merger Agreement and the effective time of the Merger, (2)its obligation to call a meeting of its stockholders to adopt the Merger Agreement, (3)its obligation, subject to certain exceptions, to recommend that its stockholders approve the Merger Agreement and the Merger, and (4)its obligations relating to the non-solicitation of alternative acquisition proposals. (ii)First Financial’s share price declines by an amount that is at least 20% greater than the corresponding price decline in the NASDAQ Bank Index. As referenced above, the consummation of the Merger is subject to various conditions, including (i)receipt of the requisite approval of the Merger Agreement and Merger by the stockholders of HopFed, (ii)receipt of all required regulatory approvals, (iii)the absence of any law or order prohibiting the closing of the Merger, and (iv)the effectiveness of the registration statement to be filed by First Financial with the Securities and Exchange Commission (the “SEC“) with respect to the First Financial common stock to be issued in the Merger. In addition HopFed’s consolidated stockholders’ equity as of the end of the month prior to the effective time of the Merger, after certain adjustments, must not be less than $87.17million. To the extent that the actual consolidated stockholders’ equity is less than such amount, the merger consideration will be reduced dollar for dollar. Each party’s obligation to consummate the Merger is subject to certain other conditions, including the accuracy of the representations and warranties of the other party and compliance of the other party with its covenants. The foregoing description of the Merger Agreement, the Voting Agreement, and the Standstill Agreement is not complete and is qualified in its entirety by reference to the Merger Agreement, the Voting Agreement, and the Standstill Agreement, which will be filed as an amendment to this Current Report on Form 8-K. The representations, warranties, and covenants contained in the Merger Agreement were made only for purposes of the Merger Agreement and as of specific dates, were solely for the benefit of the parties to the Merger Agreement, and are subject to limitations agreed upon by the contracting parties, including being qualified by confidential disclosures exchanged between the parties in connection with the execution of the Merger Agreement. The representations and warranties may have been made for the purposes of allocating contractual risk between the parties to the Merger Agreement instead of establishing these matters as facts, and may be subject to standards of materiality applicable to the contracting parties that differ from those applicable to investors. Investors are not third-party beneficiaries under the Merger Agreement and should not rely on the representations, warranties, and covenants or any descriptions thereof as characterizations of the actual state of facts or conditions. Moreover, information concerning the subject matter of the representations and warranties may change after the date of the Merger Agreement, which subsequent information may or may not be fully reflected in the parties’ public disclosures. In connection with the execution of the Merger Agreement discussed in Item 1.01 above, First Financial and HopFed issued a joint press release. A copy of the press release is attached hereto as Exhibit99.1 and incorporated by reference herein. In addition, First Financial intends to provide supplemental information regarding the proposed transaction in connection with presentations to analysts and investors. A copy of the slides that will be made available in connection with the presentations is attached hereto as Exhibit99.2. more detailed discussion of risks, uncertainties, and factors that could cause actual results to differ from those discussed in the forward-looking statements. Forward-looking statements are not historical facts, but instead express only management’s beliefs regarding future results or events, many of which, by their nature, are inherently uncertain and outside of management’s control. It is possible that actual results and outcomes may differ, possibly materially, from the anticipated results or outcomes indicated in these forward-looking statements. In addition to factors previously disclosed in reports filed by First Financial and HopFed with the SEC, risks and uncertainties for First Financial, HopFed, and the combined company include, but are not limited to: the possibility that any of the anticipated benefits of the Merger will not be realized or will not be realized within the expected time period; the risk that integration of HopFed’s operations with those of First Financial will be materially delayed or will be more costly or difficult than expected; the inability to close the Merger in a timely manner; the inability to complete the Merger due to the failure of HopFed’s stockholders to adopt the Merger Agreement; diversion of management’s attention from ongoing business operations and opportunities; the failure to satisfy other conditions to completion of the Merger, including receipt of required regulatory and other approvals; the failure of the Merger to close for any other reason; the challenges of integrating and retaining key employees; the effect of the announcement of the Merger on First Financial’s, HopFed’s, or the combined company’s respective customer relationships, operating results, or market price; the possibility that the Merger may be more expensive to complete than anticipated, including as a result of unexpected or unknown factors, events, or liabilities; potential litigation or regulatory action related to the Merger; and general competitive, economic, political and market conditions, and fluctuations. All forward-looking statements included in this Current Report on Form8-K are made as of the date hereof and are based on information available at the time of the Current Report on Form8-K. Except as required by law, neither First Financial nor HopFed assumes any obligation to update any forward-looking statement. In connection with the Merger, First Financial intends to filea registration statement on FormS-4 with the SEC, which will include a proxy statement of HopFed and a prospectus of First Financial, and each party will file other documents regarding the Merger with the SEC. A definitive proxy statement/prospectus will also be sent to the HopFed stockholders entitled to vote at the special meeting relating to the Merger. Before making any voting or investment decision, HopFed stockholders are urged to carefully read the entire registration statement and proxy statement/prospectus and any other relevant documents filed with the SEC, including any amendments or supplements thereto and any documents incorporated by reference therein, when they become available because they will contain important information about the Merger. 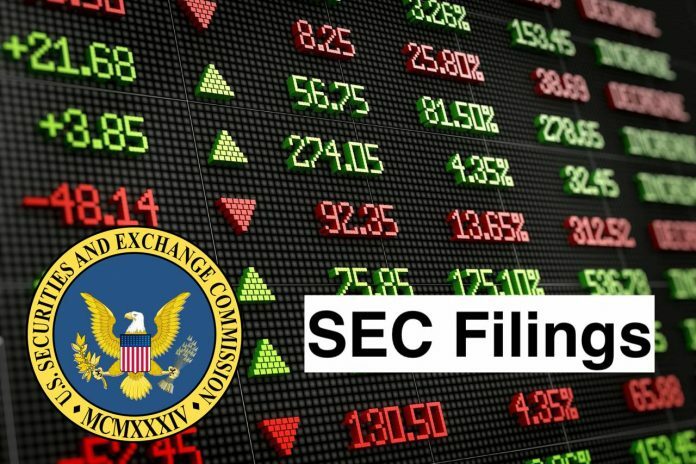 The registration statement and proxy statement/prospectus and any other relevant documents filed with the SEC (when they become available) and any other documents filed by First Financial or HopFed with the SEC, may be obtained free of charge at the SEC’s website at www.sec.gov. In addition, these documents filed by First Financial may be obtained free of charge at the “Investor Relations” section of First Financial’s website at www.first-online.com and the documents filed by HopFed may be obtained free of charge at the “Investor Relations” section of HopFed’s website at www.bankwithheritage.com. Alternatively, these documents can be obtained free of charge from First Financial upon written request to First Financial Corporation, Attention: Rodger A. McHargue, Chief Financial Officer and Secretary, One First Financial Plaza, P.O.Box540, Terre Haute, Indiana 47808 or by calling (812)238-6000 or from HopFed upon written request to HopFed Bancorp,Inc., Attention: Michael Woolfolk, Secretary, P.O.Box537, Hopkinsville, Kentucky 42241 or by calling (270)887-8400.
available. You may obtain information about First Financial’s executive officers and directors in First Financial’s definitive proxy statement for its 2018 annual meeting of shareholders, which was filed with the SEC on March14, 2018. You may obtain information about HopFed’s executive officers and directors in HopFed’s definitive proxy statement for its 2018 annual meeting of stockholders, which was filed with the SEC on April20, 2018. To the extent holdings of such participants in First Financial’s or HopFed’s respective securities are not reported, or have changed since the amounts described in the previously mentioned proxy statements, such changes have been reflected on Initial Statements of Beneficial Ownership on Form3 or Statements of Change in Ownership on Form4 filed with the SEC. Free copies of these documents may be obtained as described above. This Current Report on Form8-K shall not constitute an offer to sell or the solicitation of an offer to buy securities nor shall there be any sale of securities in any jurisdiction in which such offer, solicitation or sale would be unlawful prior to registration or qualification under the securities laws of such jurisdiction. This Current Report on Form8-K is also not a solicitation of any vote in any jurisdiction to the Merger or otherwise. No offer of securities or solicitation will be made except by means of a prospectus meeting the requirements of Section10 of the Securities Act of 1933, as amended. This Current Report on Form8-K is not a substitute for the proxy statement/prospectus that will be filed with the SEC. First Financial Corporation is a financial holding company. The Company, through its subsidiaries, offers financial services, including commercial, mortgage and consumer lending, lease financing, trust account services, depositor services and insurance services. It operates in the banking segment. The Company is the holding company of First Financial Bank, N.A. (the Bank). The Company’s other subsidiaries include The Morris Plan Company of Terre Haute (Morris Plan); Forrest Sherer Inc. (Forrest Sherer), a full-line insurance agency, and FFB Risk Management Co., Inc., a captive insurance company. The Bank’s loan portfolio includes commercial, residential and consumer. The Bank’s investments consist of the United States Government sponsored entity mortgage-backed securities and agencies, collateralized mortgage obligations, states and political subdivisions, and corporate obligations.